Some people are asking what is there to see in Navyandhra? Andhra Pradesh state tourism minister Bhooma Akhila Priya said that you do not tell me what is really here. One of the famous temples was once visited by tourists ... There is nothing here that is ... Medical Tourism, Tribal, Edvanchur, Eco, Buddhist, Forest ... Minister for Tourism, Akhila Priya said that the development of Indian Tour Operators from September 6 to 9 in Visakhapatnam for development of the country and foreign tourists in Navyandhra. At a press conference at Hotel Murali Fortune in Vijayawada, Minister of All India Priya and representatives of Association of Indian Tour Operators were participated by APTDP chairman Himanshu Shukla. 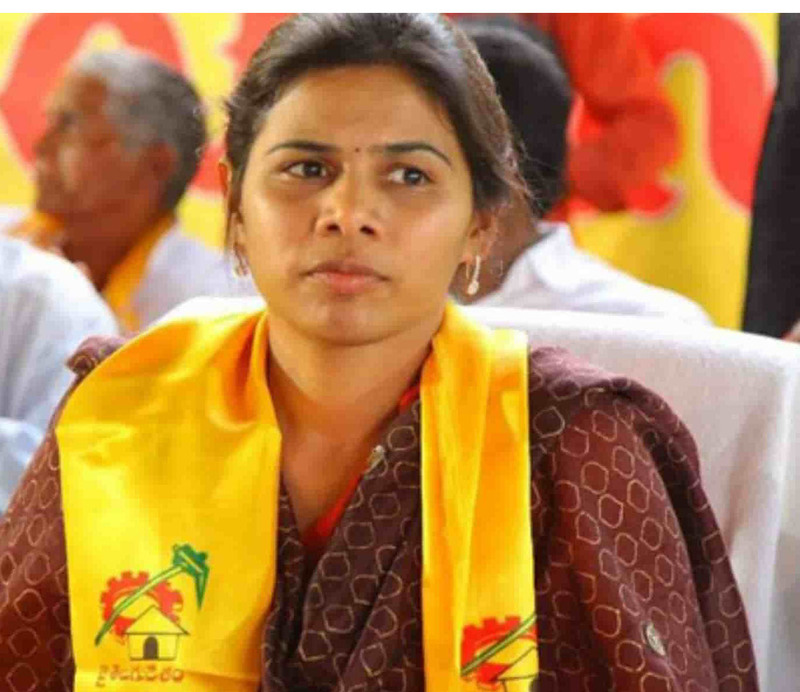 Minister Akhila Priya said that over 1,100 more tour operators will participate in the country's first national tourism organizers in the state of Andhra Pradesh, with the initiative of CM Chandrababu. The changes in tourism in the country and abroad will be discussed in the compound and the tour operators are also planning tours in Navyandhra. This means that private operators will feel themselves and bring foreign tourists. We are encouraging tourist destinations, hotels and hospitality. Tourism Minister Bhooma Akhila Priya said that the city of Hyderabad will be remembered in the city of Amravati and AP. While he recently toured London and Spain, many people are interested in tourism in Navyandhra, especially Sri Lanka, Singapore and Thailand, and they are keen to visit Buddhist monasteries in Navyandhra. The Minister explained that tourism circuits are designed to allow foreign tourists not to leave for some time and stay away for a few days. The tourism department, which has organized marvelous events to attract tourists in the past two years, is focusing on infrastructure and development in tourism sites this year. Pranab Sarkar, president of Indian Tour Operators Association, said that this year's national convention will be held in AP in Vishakhapatnam in September on the request of Chief Minister Chandrababu. My tourism will increase tourism growth by 30 per cent and employment for unemployed, Rajiv Mehra, vice president of Indian Tour Operators, said on September 6, this meeting will be held in Visakhapatnam and will be held on 7th at Visakhapatnam beach for run for tourism. Speaking on the occasion, APTDP, MD Himanshu Shukla said that the combination of Indian tour operators in Visakhapatnam will bring a new boost to AP Tourism. Accordingly, APTDP is developing 6 new tourist destinations this year.